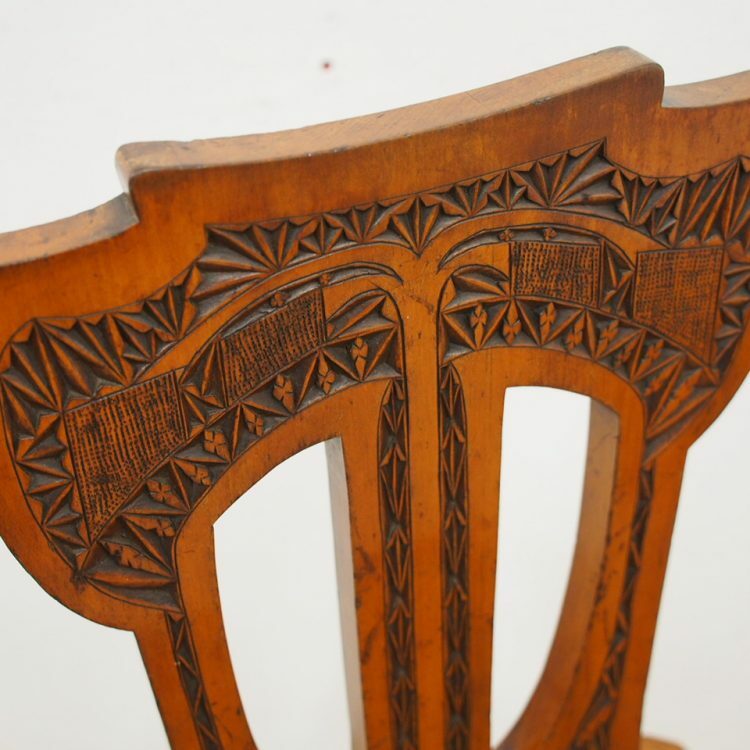 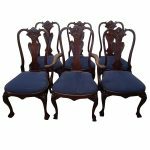 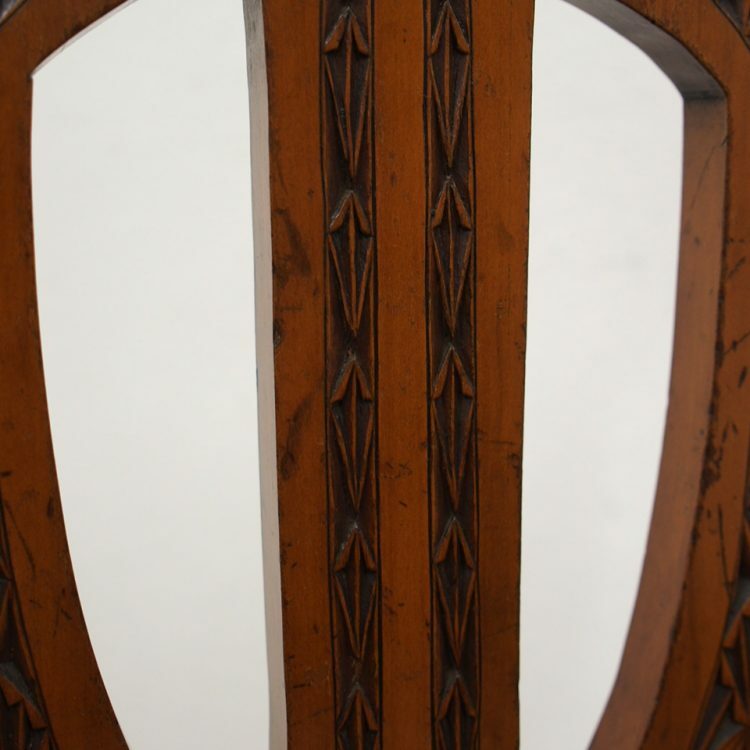 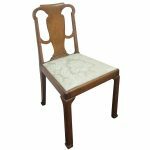 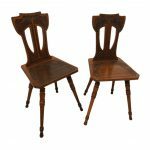 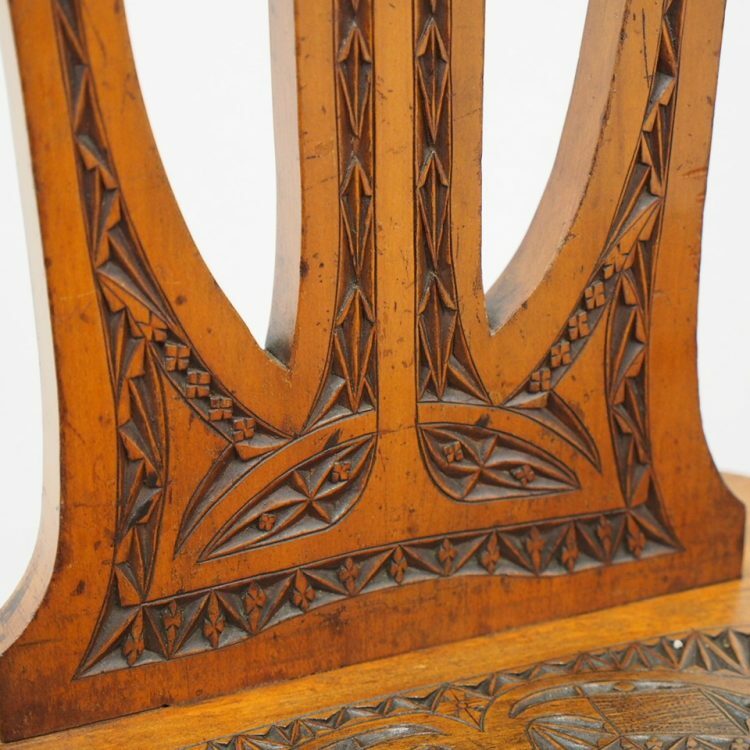 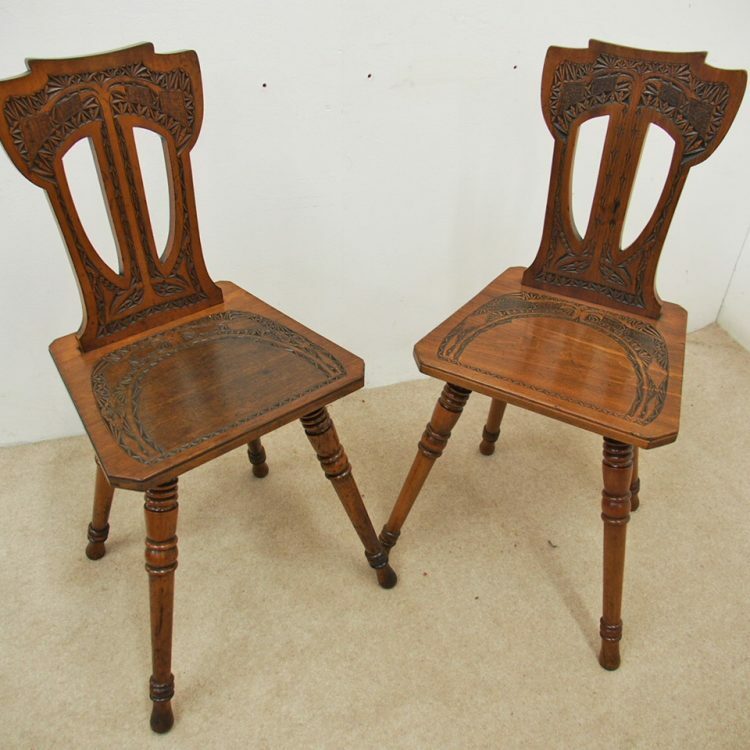 Circa 1900, two similar Art Nouveau carved hall chairs. 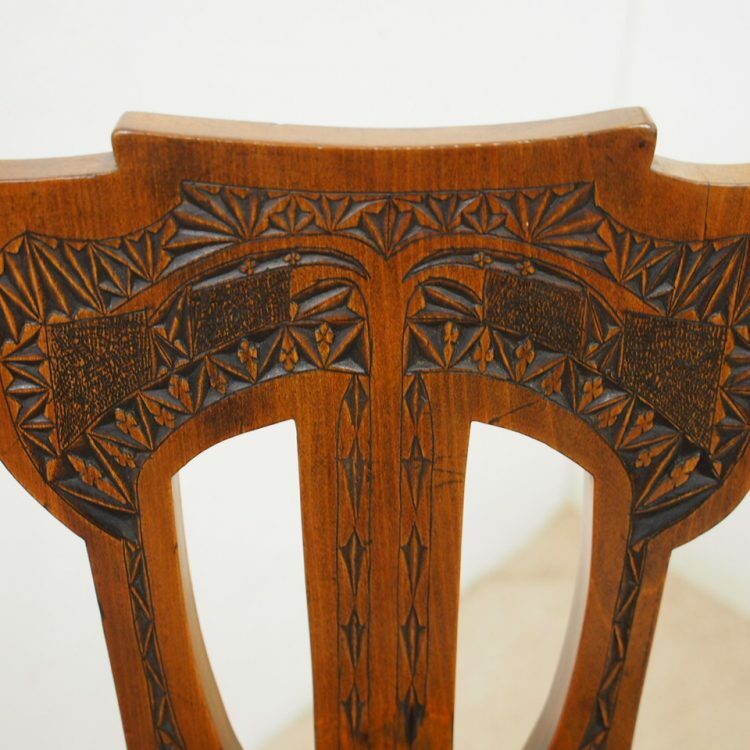 With an almost lyre shaped back which is carved in blind geometric style fretwork and has an open central section. 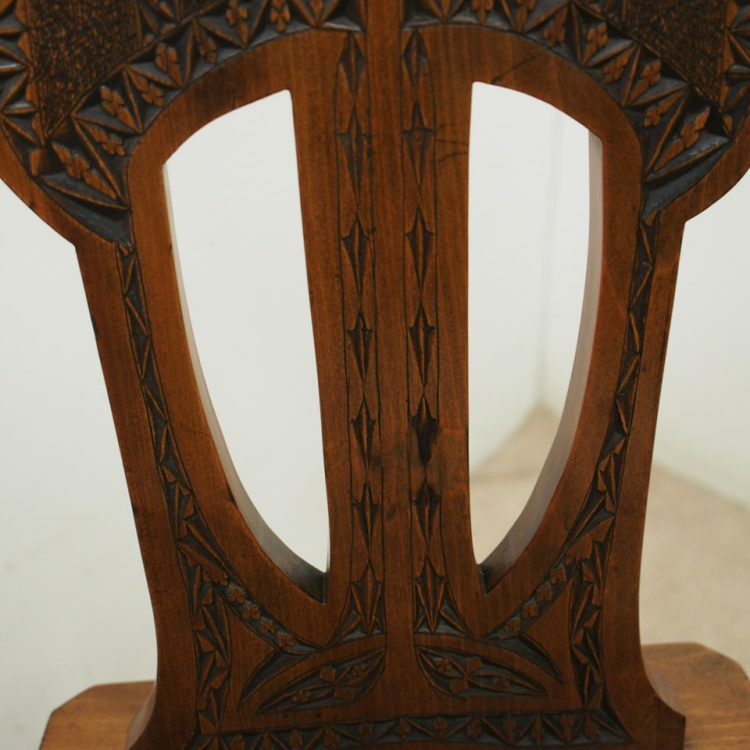 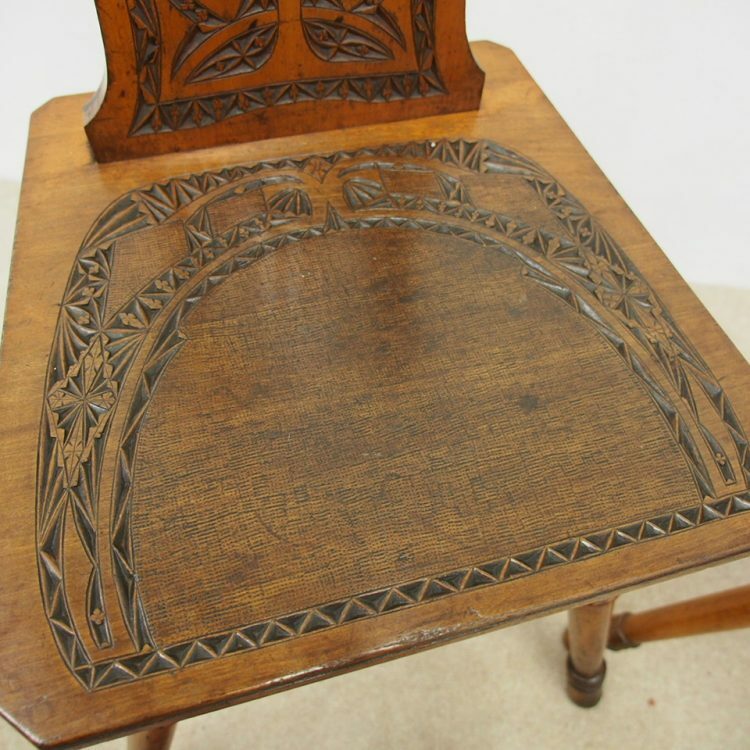 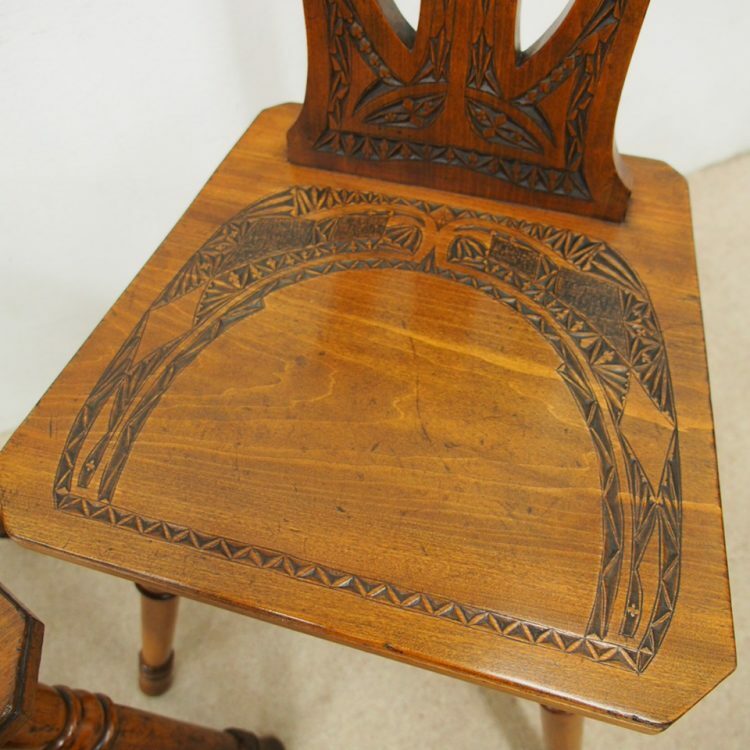 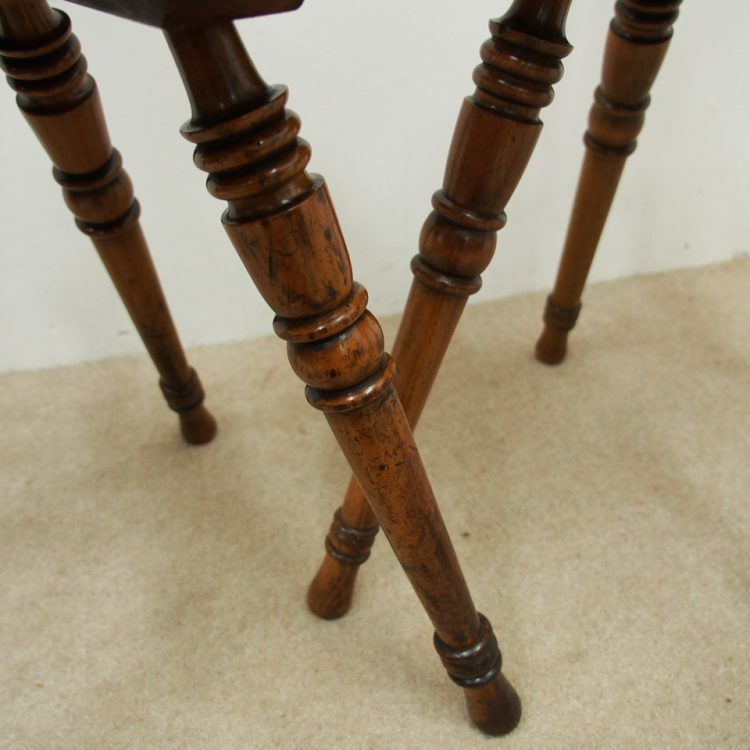 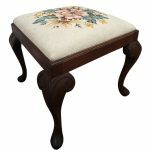 The seat is tapering with canted corners and has similar unusual carving. 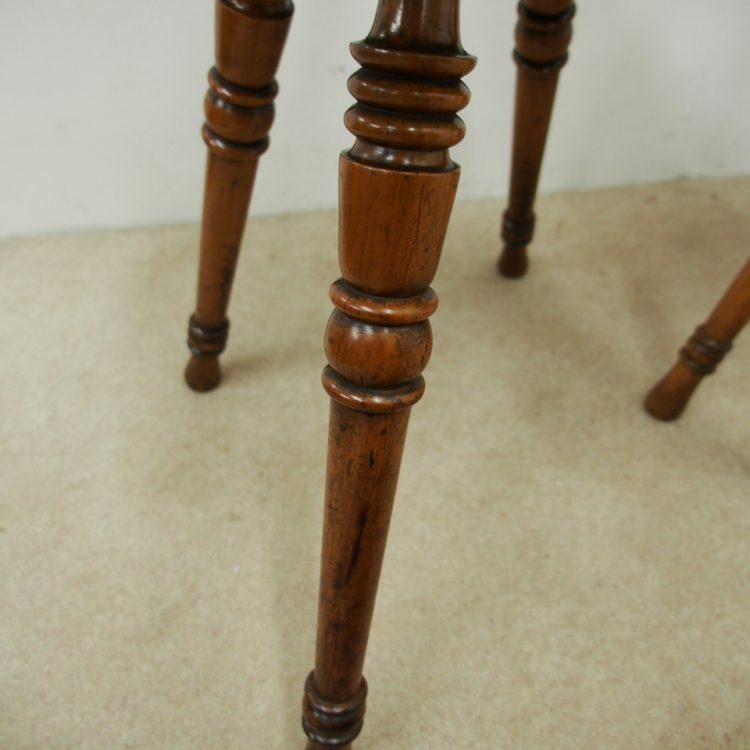 Beneath this are 4 turned and tapering splayed legs.